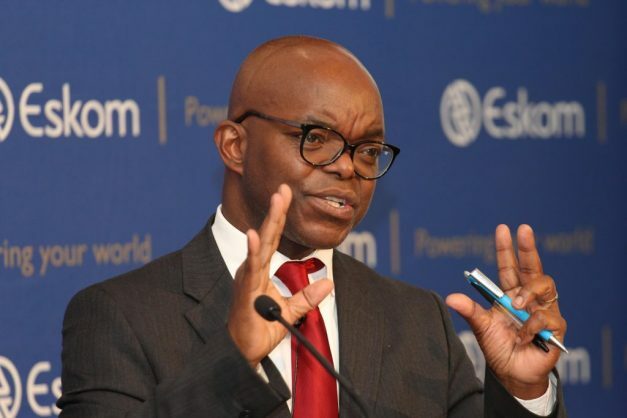 We will face another recession by year’s end if the Eskom load shedding debacle isn’t remedied, according to forecasts by Bank of America Merrill Lynch. The bank may have to adjust its forecast of a 1.3% growth in gross domestic production this year, up from 0.8% last year, partly based on the election of Cyril Ramaphosa to head the ruling African National Congress party last December. GDP growth may hit 1.7% in 2020, the bank said. However, that optimism has been replaced by worries over how much impact Eskom’s load shedding will have on the economy. What’s needed are structural reforms and most international investors are holding off investing in South Africa until after national elections in May when President Cyril Ramaphosa could have a stronger mandate to fix the country’s problems, John Morris, head of South African strategy at Bank of American Merrill Lynch, told the same briefing. The reforms could be “easy” ones like streamlining the visa process to boost the tourism industry, an auction of airwave spectrum to broaden and cheapen internet access through competition, Morris said. Other needed reforms, such as in labour relations and restructuring Eskom will take longer, he said. Meantime, foreign investors are taking a wait-and-see approach. “They say ‘call me when something changes. I’m waiting for the election’,” Morris said. “They want to see the reform that brings the growth.” When they are interested, it’s primarily in consumer brands and industrials, but not resources, he said. That could mean an opportunity for local investors. The platinum and palladium market is undersupplied and will be for next year, while stocks in the sector are still discounted, Morris said. Likewise, local investors may see attractive bond yields if Eskom blackouts eventually cause bond ratings companies to downgrade South Africa’s debt. The downside is that $5 billion of bond investments – following $8 billion last year – could flow out of the country if there’s a downgrade, Morris said. Other attractive local investments continue to be private education, as well as tobacco, telecoms and healthcare, the bank said. Banks have slipped a bit in investor interest because valuations got a bit too high for local investment managers, Morris said. South African consumers – at least part of the engine for economic growth – continue to be “in a tough space,’’ the bankers said. And the overall sentiment was bleak among attendees at a recent Sun City conference put on by the bank. Job cuts and restructuring may be the order of the day to drive growth, not revenue expansion, they said. And Eskom was the overriding concern.